You are invited to the “Make It and Give It Away” event on Tuesday, August 22, 6:30 — 8:00 at First Presbyterian Church. This will be a great opportunity to help make valuable sensory resources for students who have experienced trauma. The materials made will be given to local schools, K-3rd grade, to help children regulate their emotions. Sensory and self-regulation strategies help create a positive learning environment for all kids! Please join us—all willing hands are welcome. Thanks to First Presbyterian Church for its generous donation to cover the cost of materials. 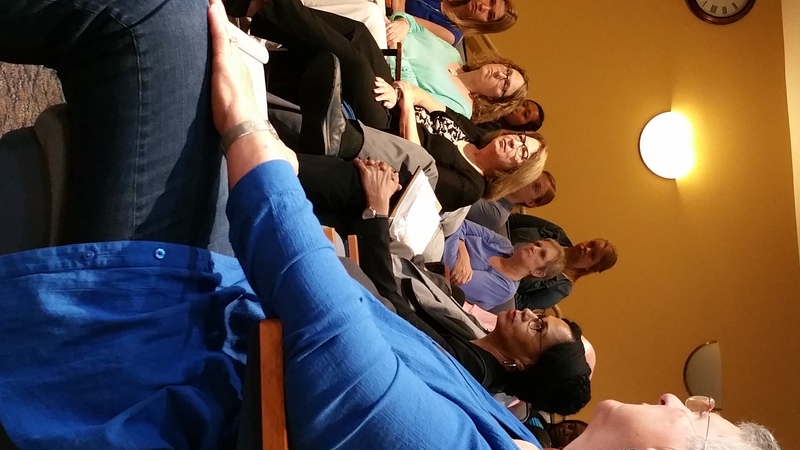 On July 12th, The KRESA Auditorium was filled with a diverse audience of educators, social service providers, clergy, community leaders and volunteers [see photo] to view the film RESILIENCE: The Biology of Stress and the Science of Hope. This extraordinary documentary clearly shows how cumulative adverse childhood experiences (ACEs) affect children and have strong negative impacts on health in adulthood. ACEs have been correlated with many of the major social and health issues we are experiencing in our county and country (e.g., drug and alcohol addiction, problems in schools, predictor of heart disease). The film also highlights several large-scale, coordinated community approaches that effectively improved child and family wellbeing. A lively discussion of intervention strategies and ideas for our community followed. The next showing is being scheduled for September and will be hosted by the juvenile court system. Stay tuned for details. Our partners in the Trauma and Resilience Workgroup are moving forward to build collective awareness and address ACEs in Kalamazoo County!